Goodwood is set to celebrate a long ist of automotive and motor sport anniversaries and key moments at this year's Festival of Speed, which takes place on 11-14 July. Goodwood Festival of Speed 2013 will see a selection of iconic Le Mans 24 Hours endurance racers make an appearance, from early winning Bentleys, right through to the latest Audis that have claimed victory in recent years. This will be marked by the stars of the endurance racing world over the last 60 years, from Jaguar D-type and Mercedes-Benz 300SLR, through Ford GT MkII and Porsche 917, to Jaguar XJR9 and Porsche 962, plus the latest prototypes from Audi and Toyota, which are contesting the newly relaunched World Endurance Championship. 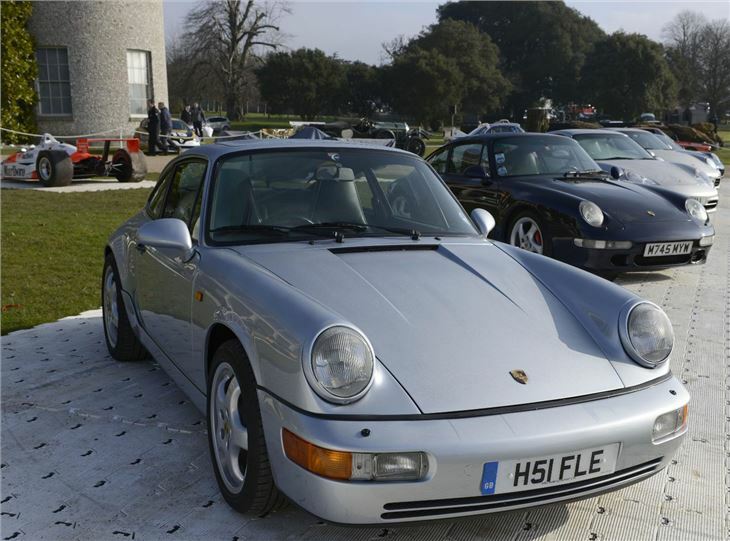 This year's sculpture will be dedicated to the 911, plus there will be a dedicated class of road and racing 911s, covering all seven generations of the iconic sports car, will take to the hill twice each day for a special parade.